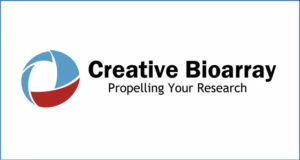 Capricor Therapeutics, Inc. CAPR +10.64% , a biotechnology company focused on developing novel therapeutics for the treatment of cardiovascular diseases, today announced the execution of an Exclusive License Agreement with Cedars-Sinai Medical Center for intellectual property (IP) related to the development of exosomes. Exosome technology may have the potential to form the basis of a next generation therapeutic platform in regenerative medicine. Under the terms of the agreement, Capricor has been granted an exclusive world-wide license, with the right to sublicense, IP related to exosomes originating from cardiosphere-derived cells (CDCs). Cedars-Sinai research about the development of exosomes is published in the May issue of Stem Cell Reports, the official journal of the International Society for Stem Cell Research (ISSCR). The licensed technology is based upon preclinical research led by Eduardo Marbán, M.D., Ph.D, who is Director of the Cedars-Sinai Heart Institute and Co-founder and Scientific Advisory Board Chairman of Capricor. As reported in today’s print issue of Stem Cell Reports, researchers showed that exosomes extracted from Capricor’s CDCs prompted myocardial regeneration in pre-clinical models of ischemic heart disease. Further, the exosomes were shown to induce various structural and functional changes within the heart. These findings demonstrate for the first time that exosomes derived from CDCs possess regenerative capabilities and serve as proof of principle for their potential as therapeutic agents. Released by nearly every cell type in the body and a vital mediator of cellular activities, exosomes are nano-sized, membrane-enclosed vesicles, or “bubbles,” that are filled with select molecules, including proteins and microRNAs, which, when released, send messages to neighboring cells to regulate cellular functions. Exosomes act as the transport vehicle out of the cell for segments of genetic material and proteins that act as messengers between cells, ultimately providing regulatory function for many cell processes, including inflammation, angiogenesis, programmed cell death (apoptosis), and scarring. Research has shown that exogenous exosomes may be used as therapeutic agents aimed to direct or in some cases re-direct cellular activities. Their size, ease of crossing cell membranes, and ability to communicate in native cellular language makes them a class of exciting and novel therapeutic agents. Capricor Therapeutics, Inc. (CAPR), a publicly-traded biotechnology company, is focused on the development of novel therapeutics to prevent and treat cardiovascular diseases. Capricor Therapeutics has two leading product candidates: CAP-1002 and Cenderitide. Capricor Therapeutics was formed through the November 2013 merger between Capricor, Inc., a privately-held company whose mission is to improve the treatment of heart disease by commercializing cardiac stem cell therapies for patients, and Nile Therapeutics, Inc., a clinical-stage biopharmaceutical company developing innovative products for the treatment of cardiovascular diseases. 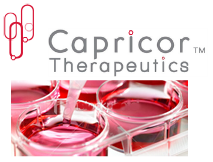 Capricor Therapeutics’ stock began trading under the symbol “CAPR” December 20, 2013. For additional information, please visit www.capricor.com . Statements in this press release regarding the efficacy, safety, and intended utilization of Capricor’s product candidates; the conduct, size, timing and results of discovery efforts and clinical trials; plans regarding regulatory filings, future research and clinical trials; plans regarding current and future collaborative activities and the ownership of commercial rights; future royalty streams, and any other statements about Capricor’s management team’s future expectations, beliefs, goals, plans or prospects constitute forward-looking statements within the meaning of the Private Securities Litigation Reform Act of 1995. Any statements that are not statements of historical fact (including statements containing the words “believes,” “plans,” “could,” “anticipates,” “expects,” “estimates,” “plans,” “should,” “target,” “will,” “would” and similar expressions) should also be considered to be forward-looking statements. There are a number of important factors that could cause actual results or events to differ materially from those indicated by such forward-looking statements. More information about these and other risks that may impact our business are set forth in our Form 10-K for the year ended December 31, 2013, as filed with the Securities and Exchange Commission on March 31, 2014, and in our Registration Statement on Form S-1, as filed with the Securities and Exchange Commission on April 18, 2014. All forward-looking statements in this press release are based on information available to us as of the date hereof, and we assume no obligation to update these forward-looking statements.